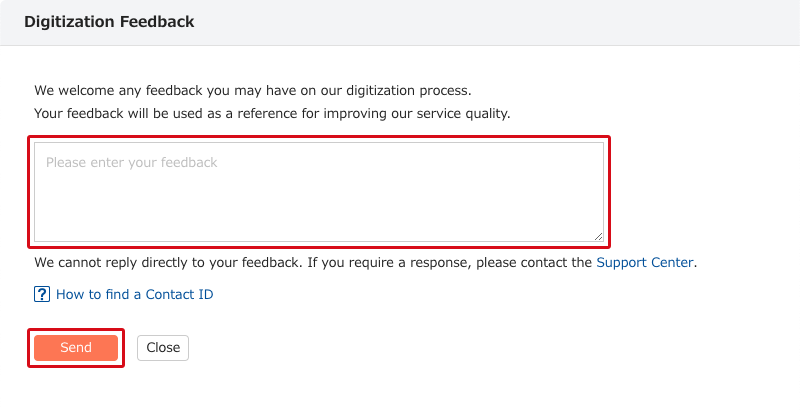 In the event that there is a mistake in the digitized content of your business cards, please let us know using the Feedback function . If input was not done according to the Transcribing Rules, Sansan will correct the data. * Please be aware that we are unable to respond or give individual answers to the content of feedback. 1. 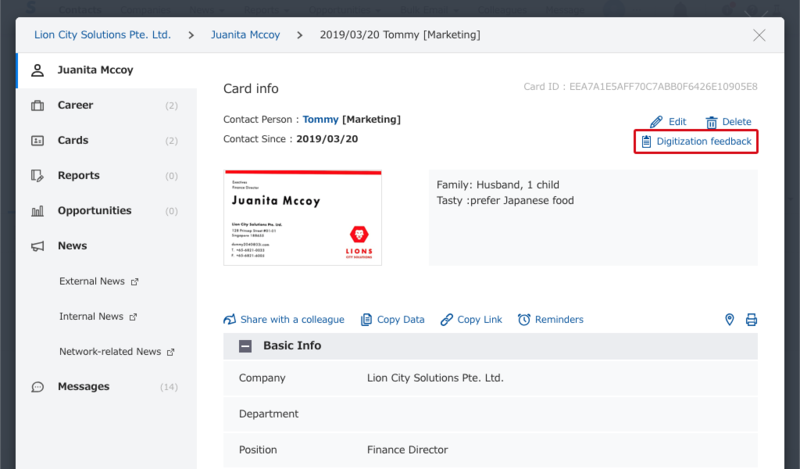 Access the Business card details screen. 2. Click on "Feedback about digitization" in the upper right of the screen. 3. Type in what the mistake was in the input form, and then press "Send". -The department name is different than the one on the business card. We will use the feedback we get from our users to continually improve our accuracy.